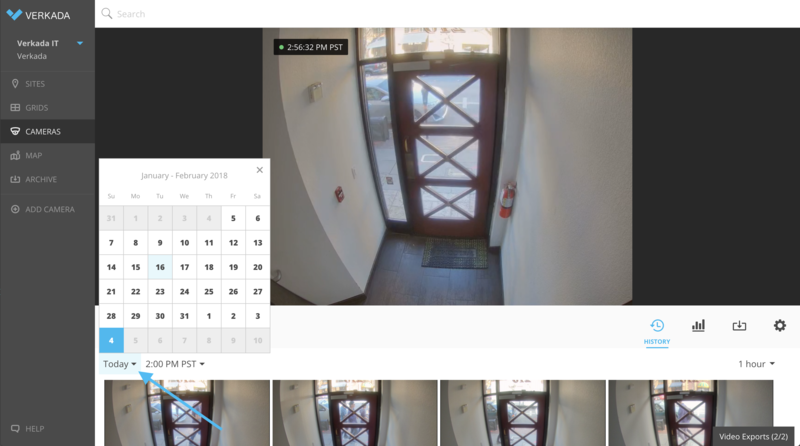 In Command, go to Cameras on the left menu and select the camera you’d like to search. 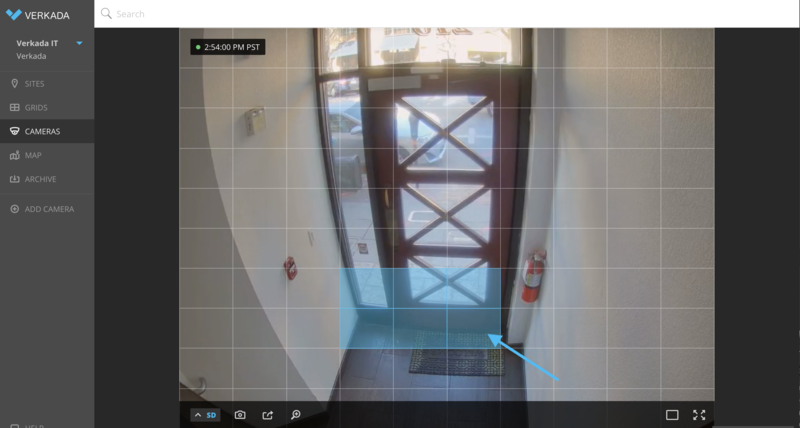 Click and drag your cursor across the region of the camera frame you’d like to search. Command will return all clips where activity was detected in that region. For example, selecting the region in the following image will instantly return all the recorded video of people entering and exiting the door. Using the dropdown menu, select your desired date/time. Command will return the footage that corresponds to this period.